Radiators|Brandon, FL :: Scott's Automotive Inc.
A radiator consists of multiple levels of tubes in which the automobile’s coolant flows. The more levels, or “passes” the coolant travels through, the cooler it will be when it exits the radiator. These tubes go back and forth inside the radiator’s core, cooling the fluid within. In most cases, the radiator tubes are made of a corrosion-resistant copper. Over time, these tubes can get clogged, preventing the flow of coolant. 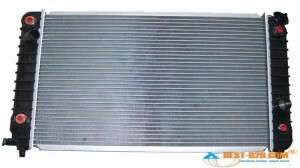 At this time, it is necessary to replace the radiator. The radiator cap is an integral part of the system, because it keeps the pressure in the radiator where it needs to be. When water and coolant is pressurized, it raised the boiling point of the liquid. Therefore, an automobile can run well past 220 degrees without boiling over if the pressure system is working well. Never try and remove a radiator cap while it is still hot. Different systems call for different caps, so be sure you have the right application for your radiator. 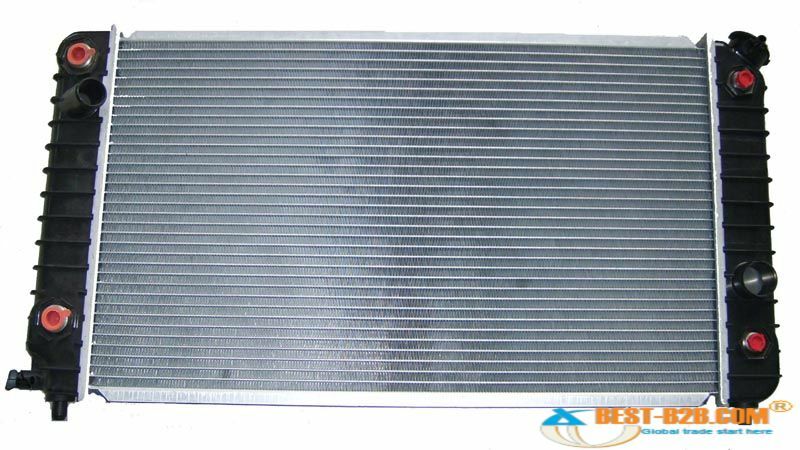 Both sides of the radiator contain very thin aluminum “fins” that work to cool the incoming air, and direct it over the tubes in the core. For this reason, it is important that the fins do not get damaged, because they could cease to operate correctly, causing temperatures under the hood to rise. Every radiator has an inlet and an outlet. The inlet hose directs hot coolant from the engine into the radiator to be cooled. The outlet hose allows the liquid cooled by the radiator to enter the engine once again, to aid in keeping block temperatures down. Some radiator hoses have springs inside them to prevent collapsing when they become soft from heat, or at high engine RPM. The hoses are made of a tough rubber compound that is intended to last for years. However, it is a good idea to replace them at the first sign of wear. They are normally held onto the radiator and engine by hose-clamps which are loosened or tightened with a flat-blade screwdriver. However, some manufacturers put “pinch” style clamps on the hoses, which require the use of pliers to remove.